Naloxone blocks or reverses the effects of opioid medication, including extreme drowsiness, slowed breathing, or loss of consciousness. An opioid is sometimes called a narcotic. Some common opiate names are: Fentanyl, Hydrocodone (Vicodin, Norco), Oxycodone, Morphine, Codeine, Suboxone, Methadone, and Heroin. 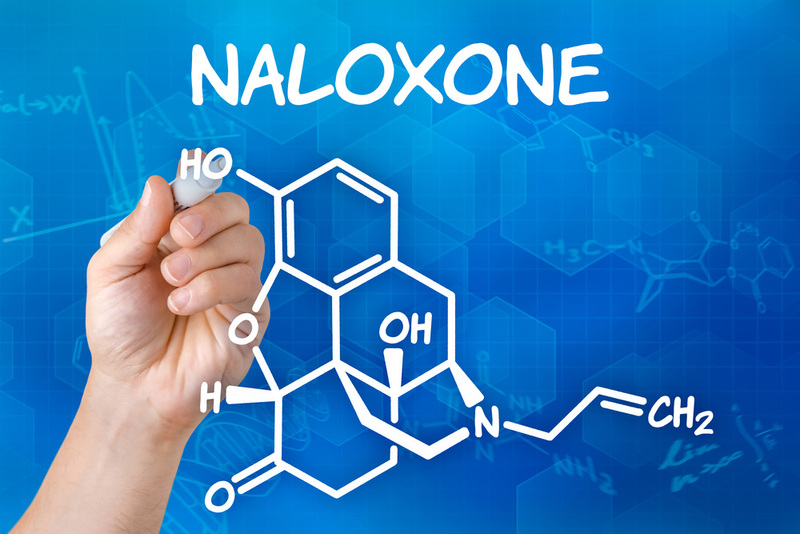 Naloxone is injected into a muscle, under the skin, or into a vein through an IV. The injection may be given by a healthcare provider, emergency medical provider, or a family member or caregiver who is trained to properly give a naloxone injection. We can train you to administer naloxone, please  contact us. -extreme drowsiness, especially if you are unable to wake the person from sleep. Each Evzio auto-injector  is for one use only. Throw away after one use, even if there is still some medicine left in it after injecting a dose. View a brochure to learn more on how to use Naloxone nasal spray (available at your pharmacy) and prevent an overdose. Talk with us for more information.